With advanced technology and equipment, Onlive Server with the use of advanced technology offers Japan Dedicated Server at low prices. In today’s world, it’s very tough job to get an affordable web hosting server provider. With our hosting solution, you can make your web hosting simpler. 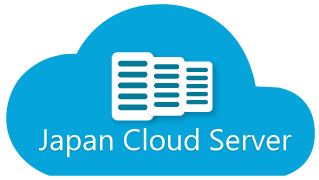 Our Japan Dedicated Server Hosting Company is an economical solution to all your needs. We offer you your own private server with full access to server configuration and give you root access permission so that you can easily perform any changes that you want to do. Our Cheap Dedicated Server in Japan provides your server high speed, flexibility, unmetered bandwidth, excellent performance with 24×7 available technical assistance team. We, Japan Dedicated Server Hosting Provider provide you processor with 4 Core в 2.5 GHz, RAM up to 32 GB and HDD up to 2 TB which can easily save and process your large amount of data. Our Japan Dedicated Server Hosting Price starts from $169/month. We offer excellent hosting features like high traffic generation, choice of operating system i.e. Windows or Linux, control panel facility, high HDD storage, top-level security, data security, data backup facility, server monitoring all day and night, data center facility and much more. Our hosting server can be used for different purposes like hosting your website, development projects, business mail server gaming servers, storage servers, data backup, and many more. We have our own data centers at different locations in the country. Due to its nearby presence, you get high uptime guarantee. For your server protection, we give you firewall protection system that prevents your server from any unauthorized access and malicious software. Our outstanding team oversees your server all day and night. If any server issue occurs, they resolve it swiftly. You can reach our team 24*7 via phone or email.